“HIGHLIGHTS OF BOTSWANA” is a Ten-Day serviced camping safari that takes in all that the Okavango Delta, Moremi Game Reserve and Chobe National Park offers…from the outset-with a magical flight into Moremi Game Reserve- to the remarkable Game viewing around the enigmatic Savuti Channel , with the last few days spent alongside two of Africa’s most beautiful rivers and onwards to the Safari’s end at the magnificent Victoria Falls .The eight nights spent out this unique wilderness that Botswana showcases’,will leave indelible memories of spectacular Wildlife and evenings spent around a campfire under billions of stars. Tour costs start from US$2920-00 pp. 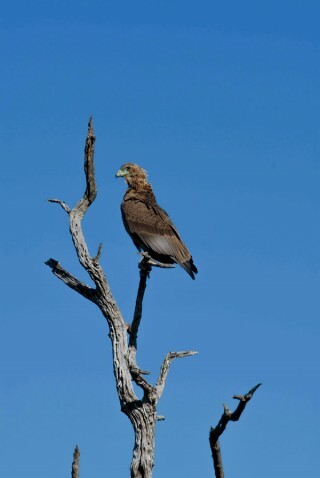 Days 1 & 2: Arrive Maun and fly to the Xakanaxa region, Moremi Game Reserve (B. L, D). Days 3 & 4: Nature drive and transfer to the Khwai Region, Moremi Game Reserve (B, L, D). Days 5 & 6: Nature drive/ transfer to the Savuti region, Chobe National Park (B, L, D). Days 7 & 8: Nature drive/ transfer to the Chobe River region, Chobe National Park (B, L, D). 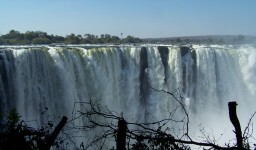 Day 9: Nature drive and then transfer to Zambezi Waterfront Lodge, Livingstone (B). Day 10: Arrangements end after Breakfast (B). DEPARTURE POINT IS MAUN AIRPORT. Guests are required to be at the arrivals by 12h30 on day 1, unless coming off international flights which generally land at about 13h00. Upon arrival in Maun, you will be met by a representative of the air charter company who will assist in the transfer to a shared light aircraft for an exciting flight to Xakanaxa (pronounced ka-ka-ni-ka) , a thirty-minute flight. Your Safari Guide will meet you on the end of the airstrip and drive to our private campsite. Xakanaxa is an integral part of the eastern waters of the Okavango Delta. The area is encompassed by Moremi Game Reserve and boasts some of the best game viewing in Africa. The Game-Reserve has areas of dry lands rising between vast wetlands, crystal clear water channels on the edges of Mopane and Apple-Leaf woodlands. Game viewing takes place alongside waterways and floodplains. Species such as Giraffe, Zebra and Wildebeest are but a few that occur here, along with an astonishing variety of birds. We leave Moremi, crossing the Khwai Bridge to the northern bank of Khwai River, we make our way to Chobe National Park. Due to the fact that none of Botswana’s wildlife areas are fenced, game can move freely between these two wilderness areas. Hippo, Elephant and sometimes Lion are often found on this route. Moving through the Mababe depression, we relocate to Savuti where we camp in the region of the Savuti Channel. Game viewing this afternoon takes place along the fringes of the marsh and surrounding water holes. The area is best known for large populations of Bull Elephants-and Prides of Lion that patrol the banks of this enigmatic channel. We again we have the opportunity to spend many hours on morning and afternoon game drives, and time dependent, an opportunity to climb one of the hills to see San Bushman paintings, an indication that this area has always drawn those who have an affinity to the wilderness. Savuti is unique and the special opportunity of exploring this area always remains with our guests for a long time afterward. After breakfast, Wilderness Dawning’s safari arrangements end. Before proceeding with onward arrangements, guests might want to partake in the numerous optional activities that are available in this adventure capital! Use of specially modified 4×4 vehicles. Professional Guide and Back-Up Crew. All camping on a fully serviced & non-participation basis in private campsites. Botswana National Parks and Game Reserves entrance fees. Open Vehicle Gamedrives in all National Parks and Reserves. Lodge accommodation Livingstone (Day 9). Any gratuities, any personal expenses, visa fees, departure taxes.